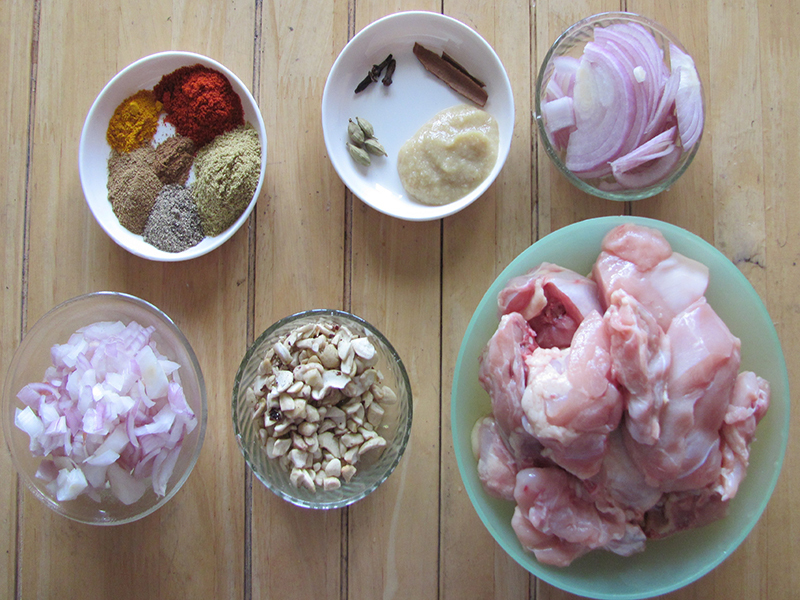 Pre-cut chicken pieces in thick brown onion and cashew nut gravy. 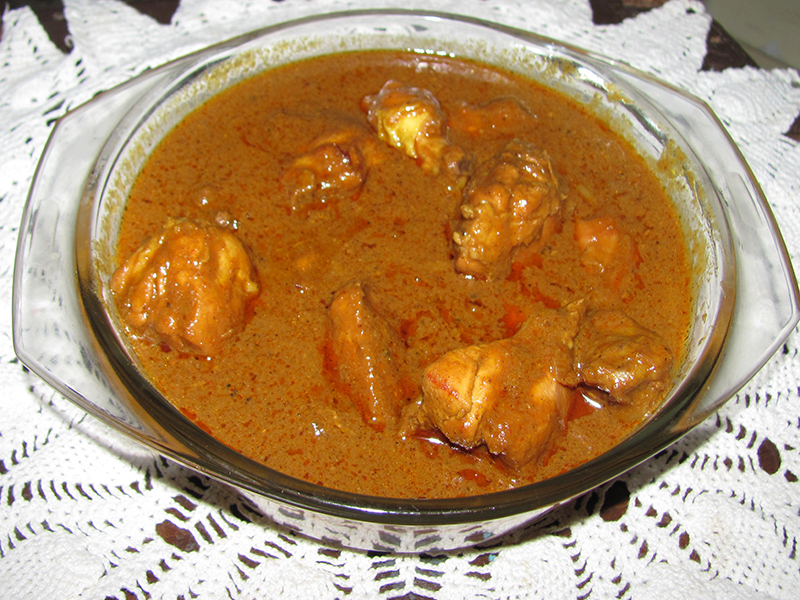 Murgh Afghani as the name suggests is a mughlai recipe. The recipe is rich in texture and taste. The browned onion paste and cashew paste to add a distinct flavour and a smooth texture out this recipe. In a wok add the onions and fry the sliced onions on a low flame till they ae golden brown in colour. Remove and make a smooth paste with little water. In the same oil add the cashewnuts and fry till they are golden brown in colour. Remove and make a smooth paste with a little water and keep aside. In the remaining oil add the cardamom, cloves, cinnamon and sauté for 30 seconds. To this add the browned onion paste , turmeric powder, coriander powder, red chilli powder, cumin powder, salt, black pepper powder and garam masala powder. Fry for 7-10 minutes or till the spices are cooked and oil separates from the mixture. Make sure to add a little water if it sticks to the bottom of the pan. Add the chicken pieces and fry till they are no longer pink. This will take about another 10 minutes. Add a little water if it sticks to the bottom of the pan. Add the cashewnut paste along with ½ cup water and mix well. Let it come to a boil . Cook till the gravy reaches your desired consistency. The gravy should not be too thick or too runny.